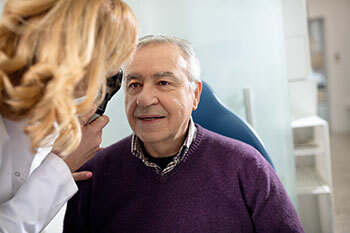 Through comprehensive, preventive eye examinations, our doctors and staff can provide an array of health services for your entire family from ages six months and up. Performed annually, these exams are an integral part of your preventive health care. Since many vision problems may not have obvious symptoms, it is important to have an Optometrist examine and evaluate your eye health every year to prevent, correct or treat any vision impairment or eye disease. Our doctors and their technicians use state-of-the-art equipment to assist them in providing our patients comprehensive, high-quality eye care. Using the latest technology, our staff is able to detect conditions such as cataracts, glaucoma, high blood pressure, and diabetes. Specialized equipment allows our doctors to take detailed views of your eye to determine if any potential or existing eye issues may be present that affect your vision. If such conditions are detected, our doctors possess extensive knowledge and experience in treating and managing any identified diseases. Our doctors and staff work together as a team to fully educate our patients in order to help them make informed decisions regarding their care plans. The eye examination results will indicate the overall health of your vision. If corrective vision is required, your doctor will review the options available to you. In most cases, this means a prescription is written for either contact lenses or eyeglasses. Your doctor will introduce you to our opticians who will assist you with an eyeglasses fitting from the full range of designer brand frames, or with contact lenses that fit your vision needs.